Lecture: "Corporate Responsibilities in the Spirit of Laudato Si’ "
We live in difficult times — environmentally, socially, and politically. In his encyclical Laudato Si’, Pope Francis emphasizes that the challenges of sustainable and integral human development are profoundly moral. He calls upon all men and women of good will to honor universal ethical principles such as human dignity, social justice, the common good, and shared well-being, and he asks for profound changes in lifestyle, modes of production, and consumption. 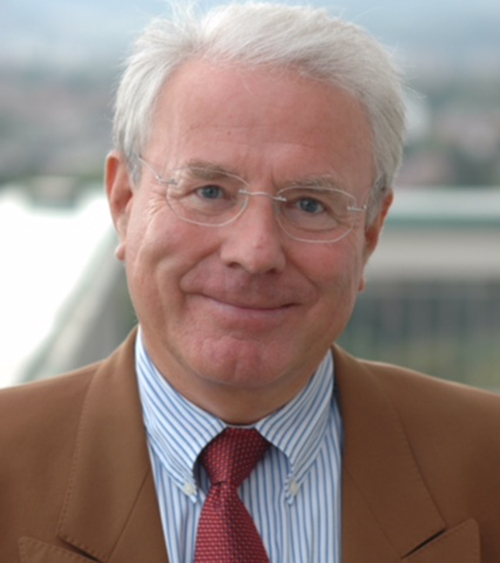 Join us to hear Klaus Leisinger — founder, president, and chairman of the Global Values Alliance — discuss the implications of Laudato Si’ for corporate responsibilities. The Global Values Alliance is a nonprofit foundation that helps apply ethical norms and values in everyday practice in business, politics and society. As both a think tank and operationally active foundation, the Global Values Alliance assumes the advocacy for the development goals of the United Nations and the UN Global Compact, and for an economic ethos based on intercultural, interreligious, and internationally recognized values.